Hulme,M. (1998) The sensitivity of Sahel rainfall to global warming: implications for scenario analysis of future climate change impact pp. 429-436 in, Water resources variability in Africa during the 20th century, (eds.) Servat,E., Hughes,D., Fritsch,J.M. and Hulme,M., IAHS Publication No.252, Wallingford, UK, 462pp. Hulme,M. and Jenkins,G.J. 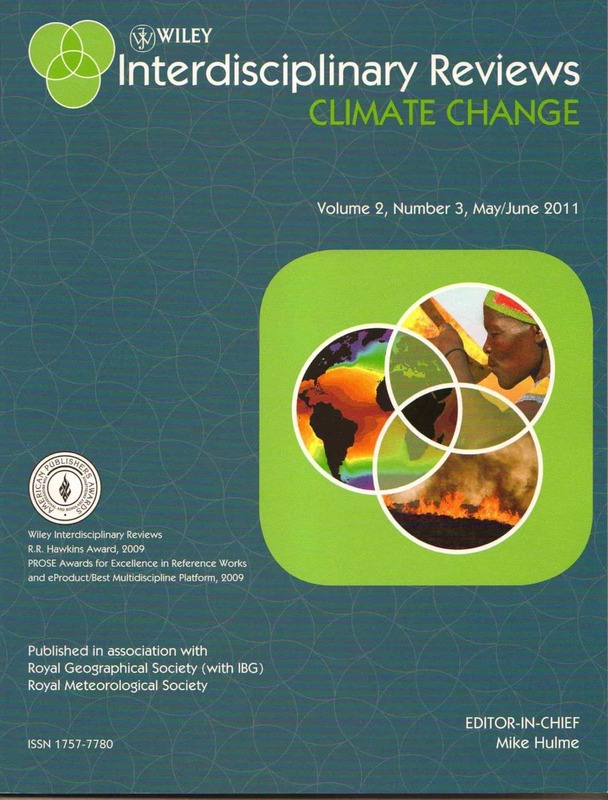 (1998) Climate Change Scenarios for the United Kingdom UKCIP Technical Report No.1, Climatic Research Unit, Norwich, UK, 80pp. Servat,E., Hughes,D., Fritsch,J.M. and Hulme,M. (eds.) (1998) Water resources variability in Africa during the 20th century IAHS Publication No.252, Wallingford, UK, 462pp.